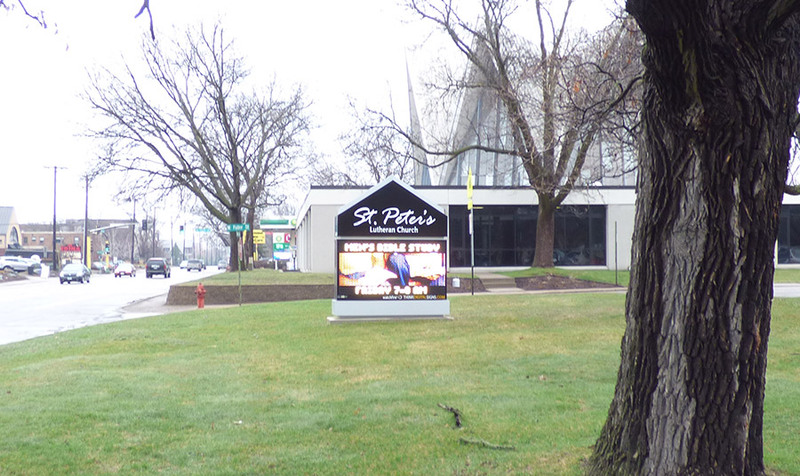 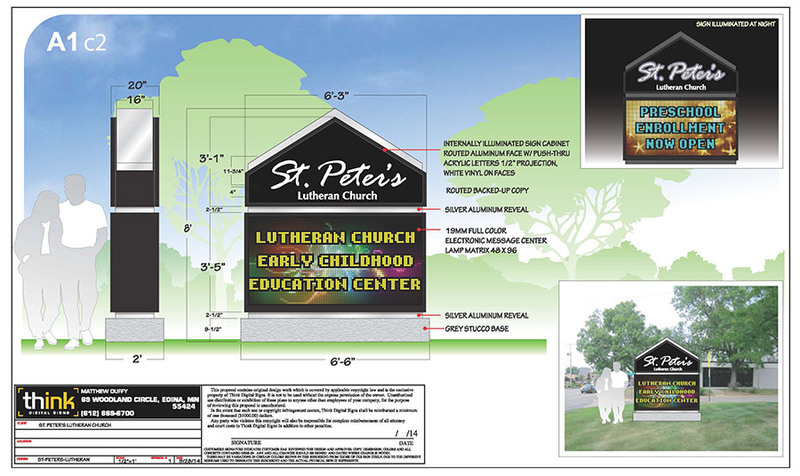 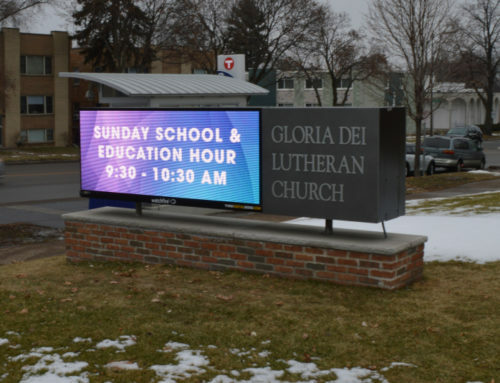 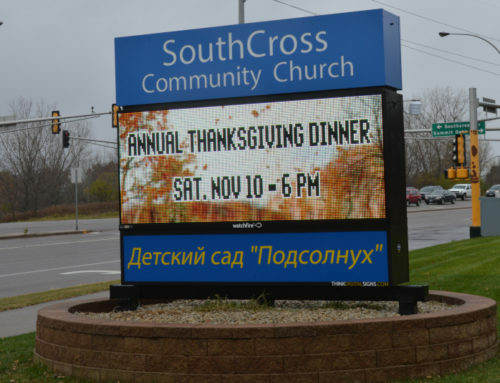 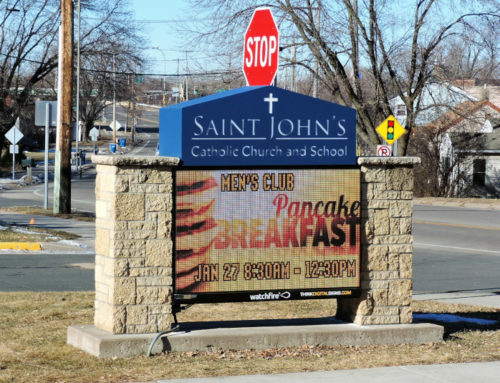 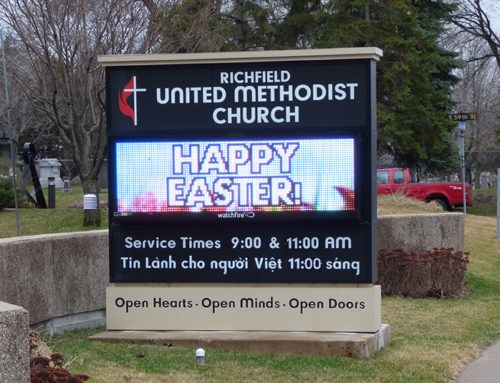 St. Peter’s Lutheran Church congregation in Edina desired a new communication device that would allow them to engage their community concerning the church and its early childhood education center. 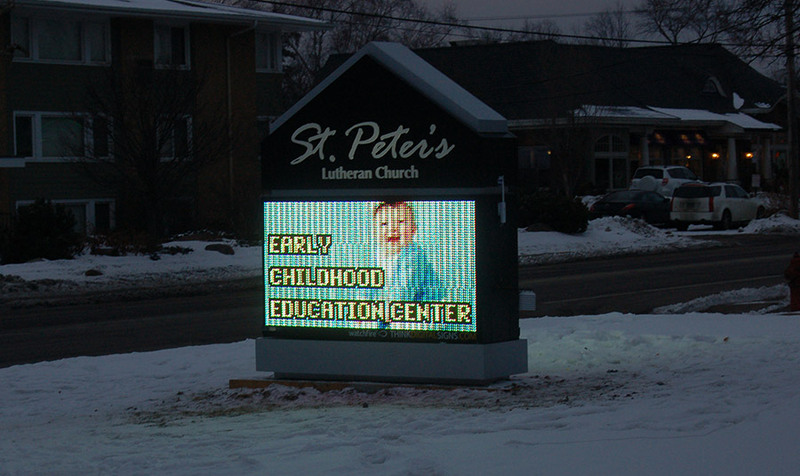 Think Digital Signs designed a classic sign that matched the unique architecture of St. Peter’s. 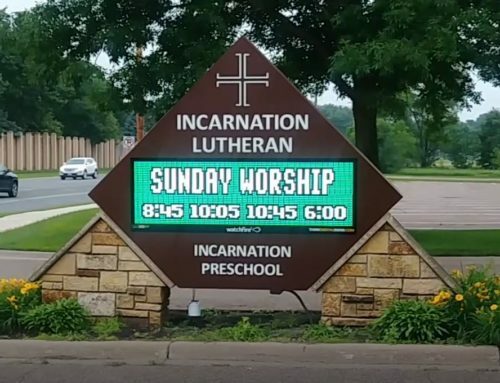 Their new sign creates over a million impressions every year.